CBeebies Bedtime Story to be read by Will Young - Timeline Television Ltd. This Saturday’s CBeebies Bedtime Story will be read by singer and actor Will Young – edited by Marianne Smith and dubbed by Daniel Piggott at Timeline’s dedicated post-production facility in the heart of MediaCityUK. Will Young will read Carolyn Robertson’s Two Dads, illustrated by Sophie Humphreys. A story of a little boy who has been adopted and finds out why having two dads is double the fun! 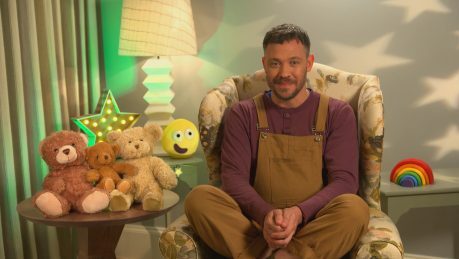 Will Young joins the list of celebrities who have presented a CBeebies Bedtime Story, including Ewan McGregor, Tom Hardy, Elton John, Orlando Bloom and Dolly Parton. CBeebies Bedtime Stories airs every evening at 6.50pm on the CBeebies channel.